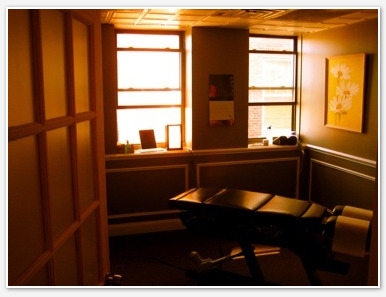 Located in the Back Bay neighborhood of Boston, Master Chiropractor is a short 2 minute walk from the Arlington MBTA Green Line stop. Our office shares space with Be Well Boston. In an effort to be more eco-friendly, reduce clutter, and make communication between doctor, patient, and other health providers more efficient Master Chiropractor runs a near paperless office. Scheduling an appointment is now easier and more secure than ever by visiting our Mind Body online scheduler. Simply create a patient profile to immediately book an appointment time that's convienient for you. 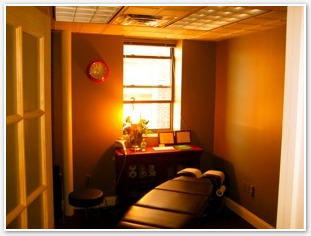 You may also call the office at (617) 335-3319 to schedule. Things to remember. Please bring your own athletic shorts / yoga pants and T-shirt / tank top. Appointment times are scheduled to the minute, so please arrive on time. at your first appointment. Treatment will consist of a combination of manual techniques, which are designed to increase symmetry of structure, flexibility, and range of motion, as well as maximize the body’s ability to self-heal. Individualized homework exercises and advice will be provided. The most common therapeutic procedure performed by doctors of chiropractic is known as “spinal manipulation,” also called “chiropractic adjustment.” The purpose of manipulation is to restore joint mobility by manually applying a controlled force to joints that have become hypomobile – or restricted in their movement – as a result of a tissue injury. Tissue injury can be caused by a single traumatic event, such as improper lifting of a heavy object, or through repetitive stresses, such as sitting in an awkward position with poor spinal posture for an extended period of time. In either case, injured tissues undergo physical and chemical changes that can cause inflammation, pain, and diminished function for the sufferer. Manipulation, or adjustment of the affected joint and tissues, restores mobility, thereby alleviating pain and muscle tightness, and allowing tissues to heal.